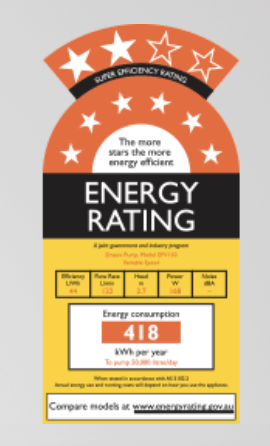 Energy Saving Pump Reduced Power Consumption by 85%. 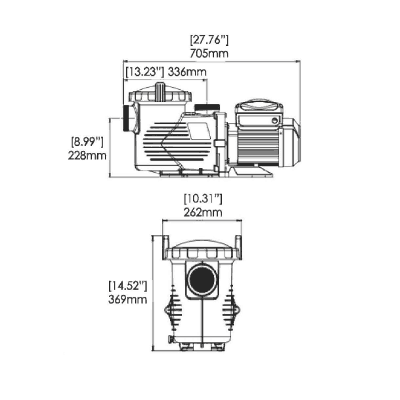 Emaux EPV 150 Series Variable Speed Pump 1.5HP 220V Complete Set With Unions 2″/2.5″. 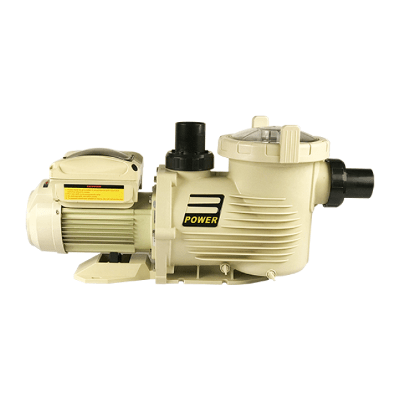 Emaux E-Power Variable Speed Pump utilizes the latest Permanent Magnet Motors (PMM) technology, it produces a magnetic field between the rotor and windings. 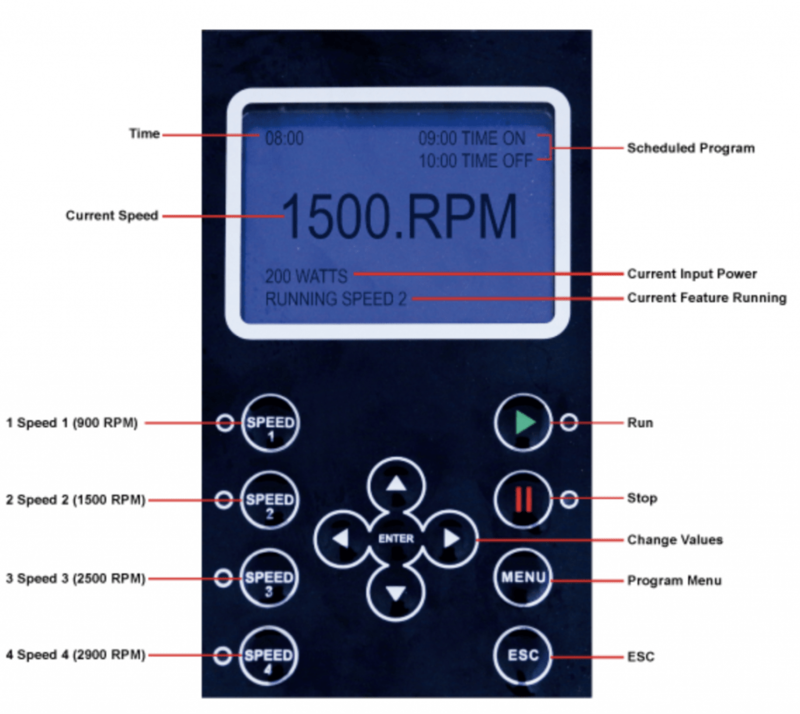 The energy saving is derived from the ability to reduce the RPM of the motor itself. The standard motor consumes electricity to induce the magnetic field into the rotor; on the other hand, PMM motor gains efficiency by the magnets working to spin the rotor, which achieves efficiency ratings of 90%. 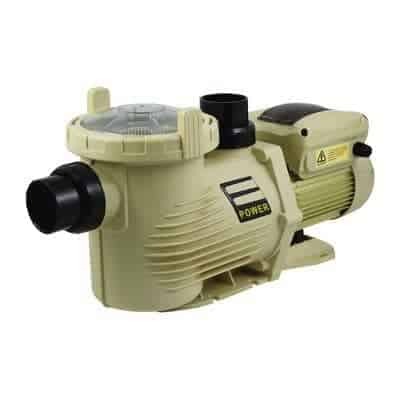 Emaux E-Power Variable Speed Pump reduces the energy usage of your pool, spa, waterfalls, or fountains. The saving due to higher efficiency provides saving from over-usage and lower equipment maintenance cost. 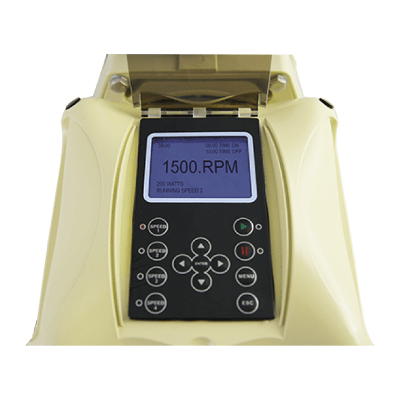 Traditional single speed pump runs at maximum load continuously, inefficient and high running cost compared to the Emaux EPV range. 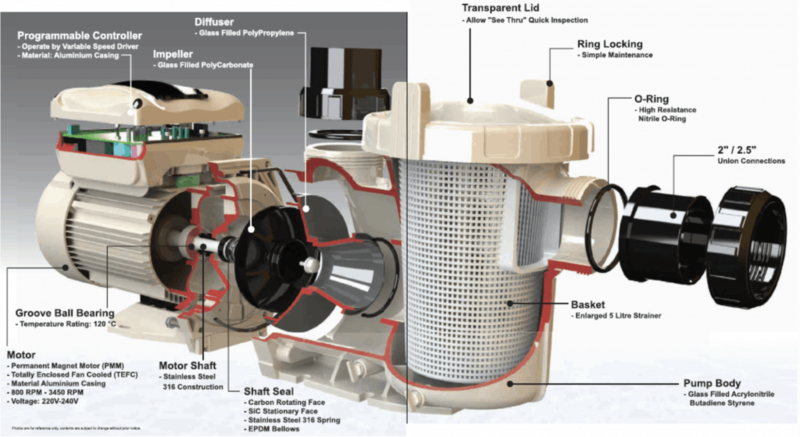 Reducing speeds provides slower water circulation rates puts less strain on the complete installation such as filter, sanitization, and plumbing. It reduces the wear and tear factors ending in saving to the homeowner.